The Mini Unikko purse by Marimekko is decorated with the iconic Unikko floral design by Maija Isola. The pattern was designed in 1964 by the Finnish designer and is today an absolute classic from the sample collection by Marimekko. The small purse is 100% cotton and is securely closed with a clip closure. So, coins and other items remain safely in your practical purse. The purse can be washed at 40°C on a delicate cycle. The Mini Unikko purse by Marimekko is available on request in other colours. Isolated product image of the Mini Unikko purse by Marimekko in white / red. 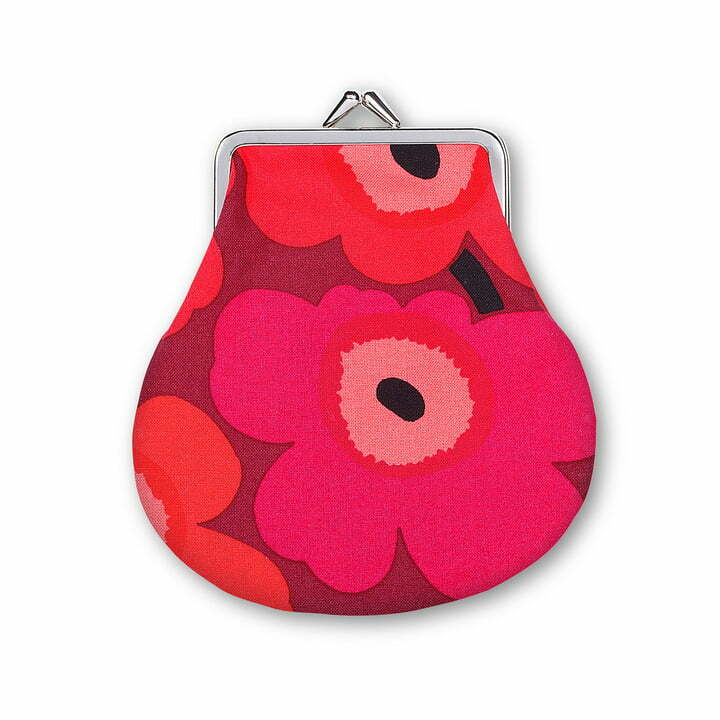 The Mini Unikko purse by Marimekko is decorated with the iconic Unikko floral design by Maija Isola.